The thousands of Central Americans leaving for the United States aren’t abandoning their homes because they want to. Violence and poverty combine to leave no other option, says Ixchel Palencia, Americas program manager at Heifer International. On October 13, a group of 2,000 people left San Pedro Sula, Honduras, headed north toward the U.S-Mexico border. As the migrant caravan traveled, more Hondurans as well as some Guatemalans, Nicaraguans, Salvadorians and Mexicans joined. In response to the caravan, President Donald Trump said the U.S. government will cut international aid to the Honduras, Guatemala and El Salvador´s governments, as they have failed to control the illegal migration. Due to poverty and violence, thousands are leaving their homes in Honduras and headed toward the U.S. border. Photo by Russell Powell. Reports differ as to the migrant caravan’s current size. Many estimate the caravan now numbers 7,000 people; the Honduran government says as some individuals turned back, and the number is now around 5,000. According to the government of Suchiate, Mexico, which shares a border with Guatemala, the caravan currently comprises 1,822 men, 1,565 women, 770 boys and 950 girls. For Honduran migrants, it is estimated that 60 percent come from the outskirts of large cities and 40 percent from rural areas. Violence, in this case, is one of the consequences of wide-spread poverty. More than two-thirds of Hondurans struggle with poverty, and almost half of that group faces extreme poverty. Almost half of working age Hondurans are unemployed. “There aren’t that many opportunities for people,” Palencia said. “To start a business, you need money. You need capital. People don’t have it. “The poverty rates have increased a lot,” she said. Part of the reason is a rise in the cost of basic needs while the job opportunities that are available are typically temporary and don’t pay well. And poverty is also exacerbated by violence. “One of the challenges people have is that you start a small business, then you face extortion,” Palencia said. Gangs enact a “tax” on successful businesses and are threatened if it’s not paid. The interchange of poverty and violence leads to several migrations for families. Faced with a lack of economic opportunities, people go to big cities, like Tegucigalpa or San Pedro Sula, looking for work. But the new city residents often must move into unsafe neighborhoods due to a lack of funds. So even if jobs are found, violence and extortion make city life untenable. 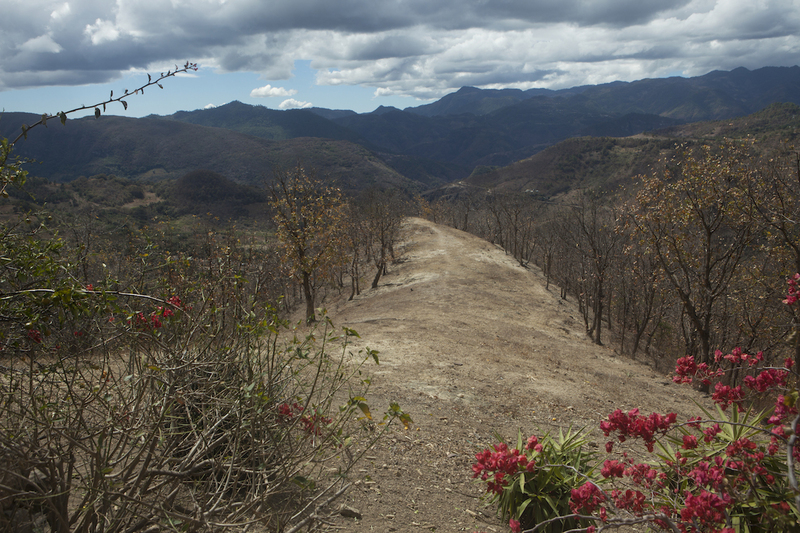 Education and health care are also scarce in Honduras. Direct threats from criminal gangs have led to cancelled classes or school closures. Hospitals are sometimes too overburdened to treat patients. In Honduras, Heifer is working with small-scale farmers and entrepreneurs to create opportunities so people don’t have to make the harrowing decision to uproot their families. Small and medium businesses represent a quarter of the Honduran GDP and comprise 60 percent of employment opportunities. In places like Olancho, one of the departments with the highest rate of migration, Heifer Honduras is emphasizing local development. Heifer is working to provide opportunities for Hondurans like Maria Bonilla and Alex Gonzalez, who started their own bakery in Olancho. Photo by Chelsey Louzeiro. “Through the support of these family businesses, that’s a way also that the families can have a better income and no need to migrate,” Palencia said. The Heifer Honduras office contributed significantly to the data and context of this story.